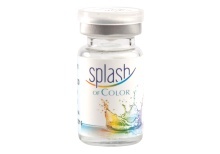 Splash contact lenses have been engineered to provide superior vision at an economical price. 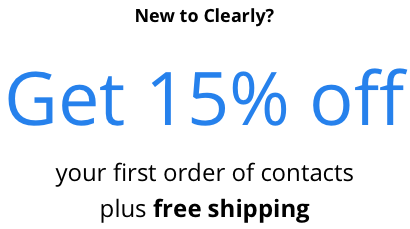 But don’t let the price fool you. 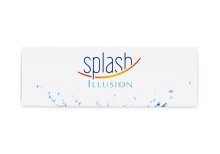 These inventive lenses have been manufactured with high definition vision - the ultimate in contact lens technology. With their aspheric design and aberration control, these soft contacts will allow you to live life to the fullest. 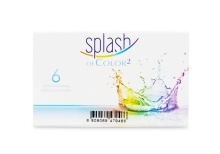 Developed to fulfill all your needs, this remarkable brand has an array of products including: Splash (two week daily wear), Splash One Day 30 Pack, Splash of Colour 2, and Splash of Colour. 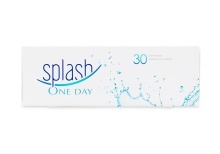 Comfort and clarity define the Splash brand, but their products also offer the highest UVA and UVB protection available in soft contact lenses. So when you will be seeing clearly, you will also be protecting and maintaining the health of your eyes. 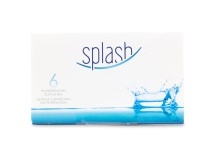 Splash contact lenses are the hottest new brand to hit the market, and at such an affordable price, it's really a no-brainer! 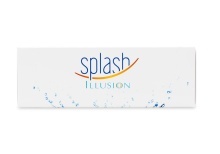 See for yourself why more and more people are switching to Splash lenses.